Building on the Stage 2 kit, we swap out the non-amplified harness for our full amplifier mounting and installation kit. 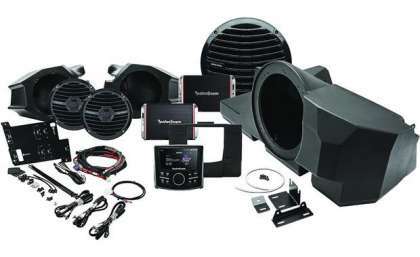 This literally amps up your sound with the addition of two Punch PBR series amplifiers as well as our under dash mounted front woofer enclosure and woofer combo. If you're ready for bass in your face while running the trails, then this is for you.